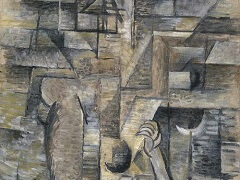 The Portuguese marks an interesting point in the development of Braque's paintings. In the top right hand corner, he stenciled the letters "D BAL" and under them, roman numerals. 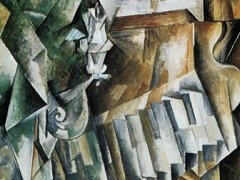 Although he had included numbers and letters into a still life in 1910, they were a representational element of the painting. In this piece, the letters and numbers are a purely compositional addition. 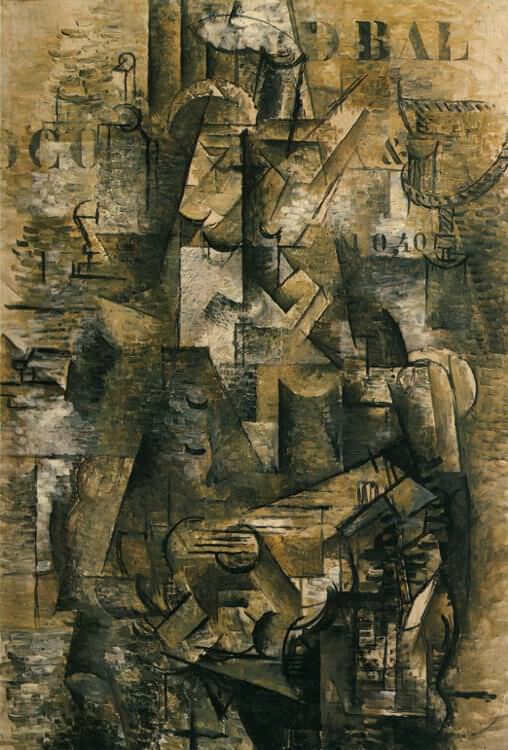 Braque's intentions at adding the letters are many, but mostly they are added to make the viewer aware of the canvas itself. 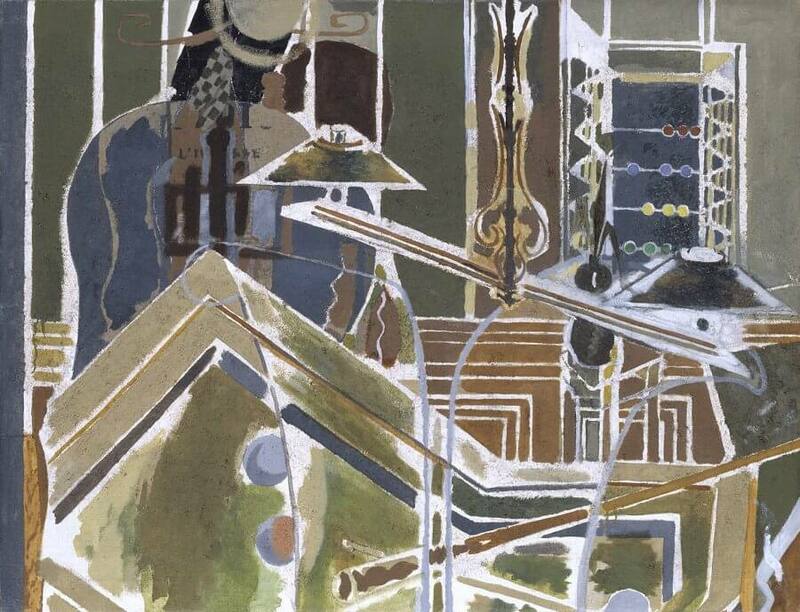 In representational paintings, the canvas is there only as a surface to hold whatever image the painter desires. By adding numbers, out of context elements, and surface textures, the viewer becomes aware of the fact that the canvas can also hold outside elements, making the surface of the painting just as important as what is put on top of it. 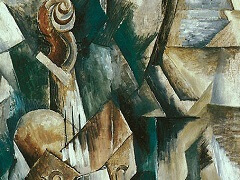 To understand Cubism it helps to go back to Cézanne's still life paintings or even further, to the Renaissance. Let me use an example that worked nicely in the classroom. 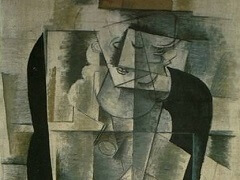 I was lecturing, trying to untangle Cubism while drinking incresingly cold coffee from a paper cup. I set the cup on the desk in the front of the room and said, "If I were a Renaissance artist in mid-15th century Italy painting that cup on that table, I would position myself at particular point in space and construct the surrounding objects and space frozen in that spot and from that single perspective. On the other hand, if this was the late 19th century and I was Cézanne, I might allow myself to open this view up quite a bit. Perhaps I would focus on, and record, the perceptual changes of shape and line that result when I shift my weight from one leg to the other or when I lean in toward the cup to get a closer look. 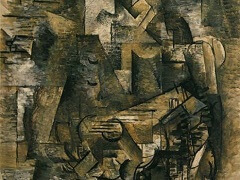 I might even allow myself to render slightly around the far side of the paper cup since, as Cézanne, I am interested in vision and memory working together. 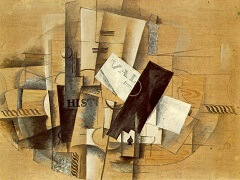 Finally, if I were Braque or Picasso in the early 20th century, I would want to express even more on the canvas. 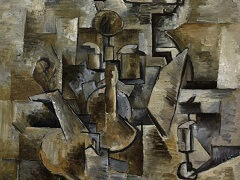 I would not be satisfied with the limiting conventions of Renaissance perspective nor even with the initial explorations of the master Cézanne.